During this very special weekend, Gen Delek will grant the blessing empowerment of White Tara, a female enlightened being who bestows long life, good fortune and wisdom. We need a long life to complete our spiritual practice, we need wisdom to free ourselves and others from our daily pain and problems, and we need good fortune or positive energy to achieve a long-lasting experience of inner peace and happiness. 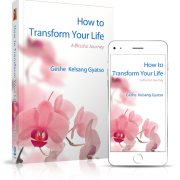 An empowerment is a blissful guided meditation through which we make a deep connection with this inspiring Buddha and receive her healing, joyful and protective blessings. Everyone is welcome! 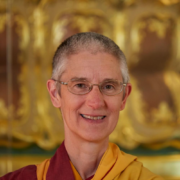 Gen Delek has been a student of Venerable Geshe Kelsang Gyatso for 30 years, teaching meditation in Canada, the UK and Japan. She is loved by her students for her kindness, sincere example, and the clarity of her teachings. FREE ACCOMODATION for the first ten out-of-town requests!